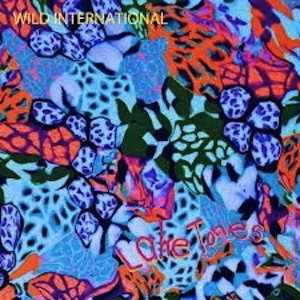 Lake Tones from Wild International hit us with a crashing wave of sound. It’s full and multi-layered, a mix of wilderness and technology. The harmonies remind us of a busier Fleet Foxes, layered on top of the otherworldliness of Yeasayer. The 6-song EP sounds wonderfully raw and emotional, but not in a sad way. It is outspoken and stacked with different sounds, and almost plays like a mixtape with different styles and vocals throughout. The first track “Waterflaws,” opens up with great harmonies and frogs croaking. Even after a few listens through the whole EP, it’s still our favorite track on the EP. “Creeks” is meandering and twangy, something we’d listen to on a summer afternoon. Overall, the EP has a great tribal sound to it. Wild International comes out sounding strong and skilled. We can’t wait to see these guys live.